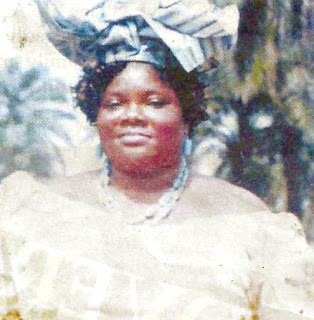 Utang Edet, who owned a church in her native village of Ikot Edem Odo in Akpabuyo Local Government Area of Cross River State, Southsouth Nigeria, was accused of offering her family members for money making ritual and before she was buried alive, she had allegedly killed five members of the family. A family source in Ikot Edem Odo told P.M.NEWS that mysterious deaths regularly occurred in the family without anyone knowing the cause of death until Joseph Edet Offiong died early February this year. “We concluded that we had to do something before premature death took everyone in the family away,” Ekanma Edet Offiong, a member of the family said. She said when the family discovered that she was responsible for the killings, a meeting was summoned and she was invited to appear before the family to explain her role but she refused to honour the family’s invitations and gave excuses that she was too busy with church activities. That convinced the family further that she was aware of what was happening or had a hand in the deaths, Ekanma added. The family, another source which craves anonymity told P.M.NEWS, was yet to decide what to do with the prophetess when Edet Edet Offiong, a twin brother of Joseph Edet Offiong who died recently, could not bear the grief and pain of the loss of his twin brother and had to lead some of his friends to the prophetess’ house one night and took her to the bush where they dug a grave and shoved her in and covered her with sand. “At about 2 a.m. on that night, Edet Edet Offiong led Nsikak Emmanuel Tom, Ekpo Archibong Ekpo, and Edet Etim to the prophetess’ house and on arrival, her brother Edet Edet Offiong called her to come out and when she asked him what he was doing in her house at that time of night, the boys told her to shut up and come out,” said our source. The source said when she eventually came out, they dealt her some blows and took her to the bush where they buried her alive. The matter was reported to the police who have arrested five suspects in connection with the murder and detained them at the Police Headquarters at Diamond Hill, Calabar.